We visited this park on August 30, 2016, and stayed for 7 day(s). This was supposed to be a two-night stop on our way to Moab, Utah, for the Labor Day weekend. 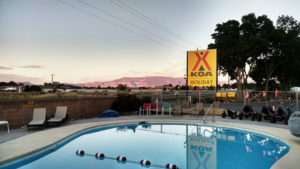 But we didn’t make reservations in time, and at the last minute decided to attempt a one week stay at the Grand Junction KOA instead. As we were checking in, another guest was cancelling their reservation, and our timing was perfect for a one week stay in a great site in a very nice park. 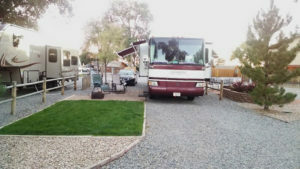 The Grand Junction KOA has long, level, well-maintained pull-through sites with full 50 AMP hookups. Our site had a concrete patio with a picnic table, a small plot of grass, and some shade. There was plenty of room between sites. There’s a nice pool, easy access to a BLM hiking/biking trail, a large, clean laundry room, camp store, game room, and mini-golf. The staff and other campers were friendly. We struck up a friendship with our neighbors from Michigan and look forward to connecting with them again in the future. 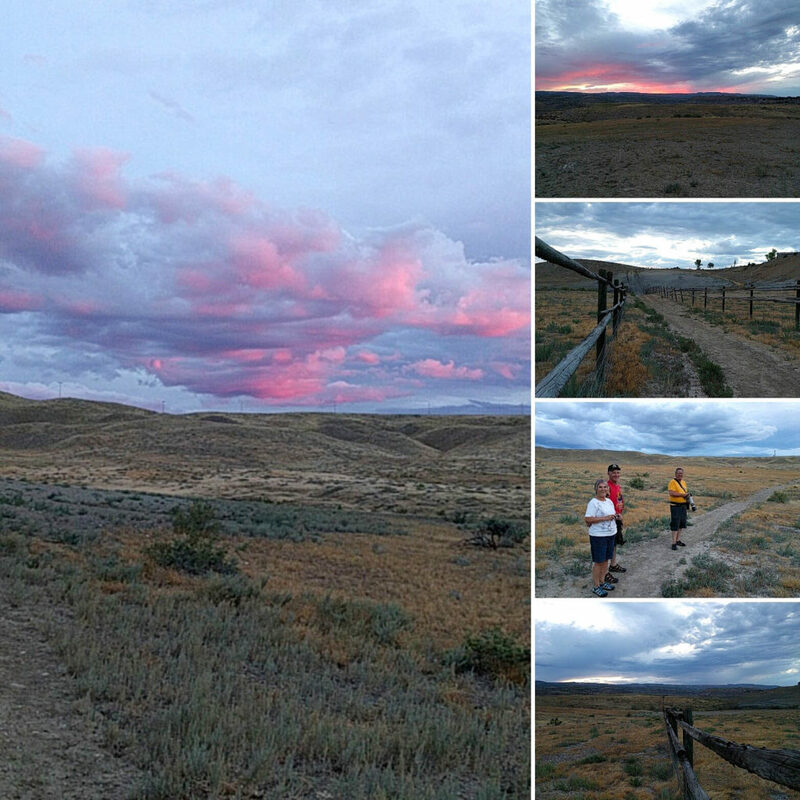 That’s us in the photo above, enjoying a sunset hike on the nearby BLM trail. There’s easy access to shopping, including a Sprouts, Walmart, REI, Sportsman’s Warehouse, and many others. Restaurants also seemed plentiful, though we only stopped at Chipotle. We explored the Colorado National Monument and Grand Mesa National Forest during our stay at the Grand Junction KOA.